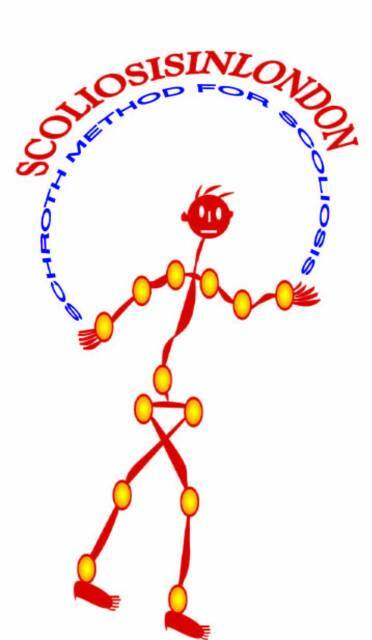 Scoliosisinlondon provides the high quality conservative treatment for children and adults who suffer from spinal deformities; scoliosis, Scheuermann's disease. Our treatment is based on the Schroth method. 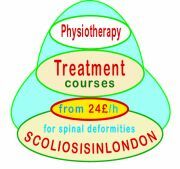 All sessions are directed by a scoliosis physiotherapy consultant Joanna Slup. We are pleased to be one of the only UK center offering both Schroth therapy and bracing together under one roof. - Scoliosis intensive treatment with specific for each patient exercise programme for teenagers and adults. - Treatment for mild, moderate and severe curves. - Schroth Post – Surgical programme after surgery. - Program for patients with hyperkyphosis, Scheuermann’s disease. - Treatment for patients with back pain. - A special programme “ Good Posture ” which allows patients to improve their bad posture. During the initial consultation the patient receives a comprehensive scoliosis examination to evaluate and determine whether the patient is a candidate for the treatment.
" Scoliosis results from a multitude of wrong movements that finally result in a rigid posture. This is why the patient first of all need very careful observation to establish why, and to reverse them completely - at the beginning at least in the imagination. Treatment is like doing a jigsaw puzzle - we take piece after piece and put them together until we finaly reach the uprigh position. Only this way we can heal the suffering. The therapist has to inject all her/his love, energy and affection for the patient into treatment and share the motivation. Each exercise has to be performed as if it were the only piece which will bring success. " exercise scoliosis with success ! Early detection and accurate diagnosis should lead to successful non surgical physiotherapeutic treatment of scoliosis disease! with Poor posture and muscular weakness. Treatment for scoliosis, hyperkyphosis and Scheurmann's disease.